If you asked me about beer pairings with chocolate I would probably default to porters and stouts but like everything to do with beer the picture is a lot bigger. How about lambics, barrel aged, smokey beers and all those big Belgian beers …. Oh man, does anyone else want to have a chocolate/beer tasting session?! Whilst we are on the topic of darker beers and chocolate/roasty flavours here’s an article from the US about a series of events that has started recently and they are centred around coffee and beer. But this isn’t just another collaboration or stout tasting, they will be looking at the full coffee bean journey. I wish I could attend something like this! It is a style that seems to be gaining popularity lately. The Feral Watermelon Warhead, a Berliner Weisse infused with local fresh watermelon, continues to be a juggernaut of a beer. I must have it every time I see it and at last months GABS festival I had many conversations with people about it, mostly trading information on how much Feral had left at their stand. I had a Berliner Weisse from Cavalier Brewing at the same festival and Boatrocker’s Mitte, which featured at a couple of events during Good Beer Week, totally blew me away. I seem to have gotten a little sidetracked in my excitement but if you like the style, it is a good read. Pickles have been kinda dominating my world in recent months – first a friend of mine started a pickle club and so I’m attempting pickling at home on a regular basis. I’m starting to get the hang of it but reading this blog post from Chris, of Josie Bones and Boneyard Brewing fame, made me realise it’s a big pickled world out there. Smoking veg first?! Oh be still my beating heart! I have multiple beer growlers in the house, all local of course, and the urge to buy new ones when I see them is virtually irresistible. 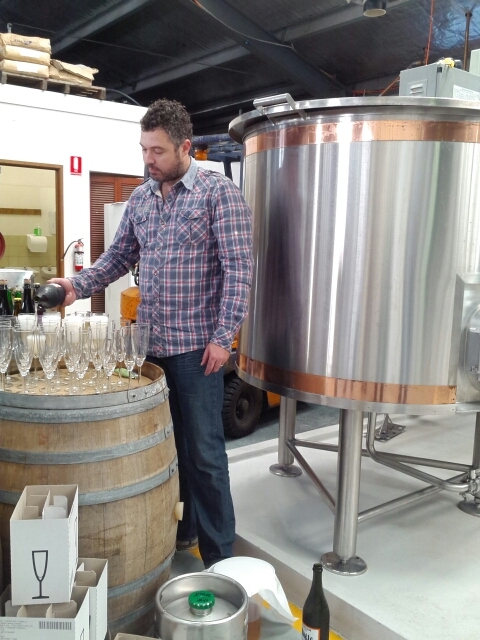 This was a really interesting read given the fairly standard three or four growler styles most Australian breweries seem to have, at least from my limited observations. 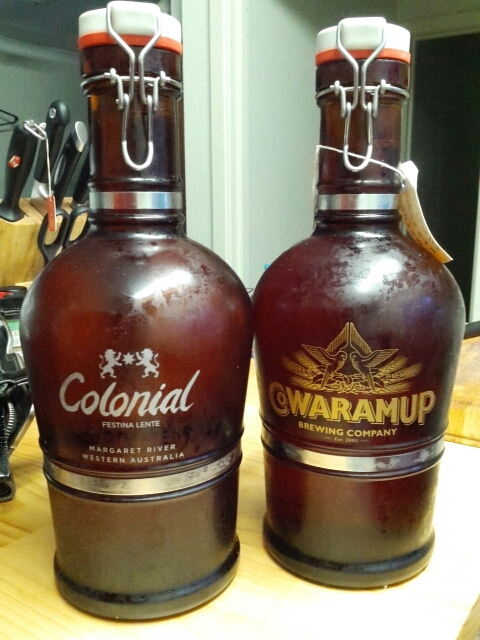 How far can/should the design go, is it really necessary for beer to be able to keep in a growler for more than a week? I don’t think I’ve been able to hold off on opening a growler more than a couple of days! Anyway, like I said, interesting. Oh and I like the look of the Sierra Nevada growler at the end. I would totally buy that if it was here.